Alveopora sp. coral, most likely Alveopora tizadri. The width of the imaged area was about 2 cm. 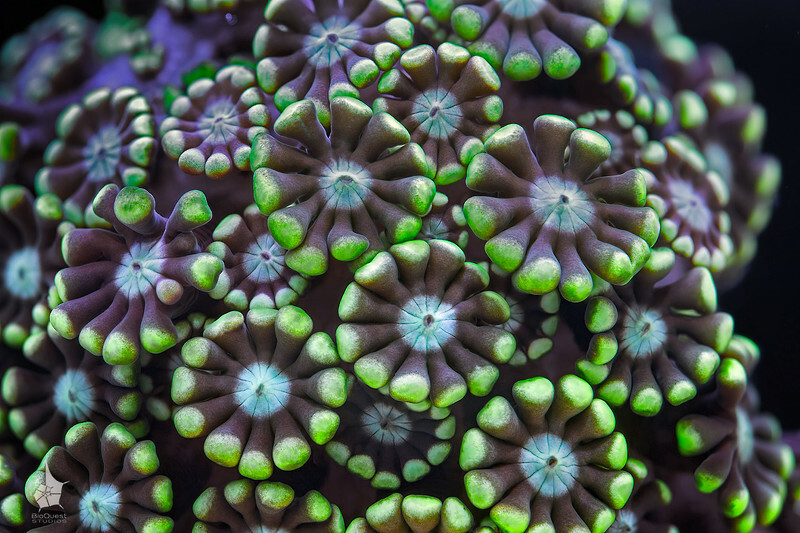 The polyps just started extending when the photo was taken.